Here are the latest work at home job leads that I found while browsing the Internet online. If you live outside the US and you have the desire to work from home, this list is for you. If there are no job leads available in the country in which you live, please know that there are a few companies that hire remote workers from any location. You may want to visit their website to see what openings they are advertising and apply to any you may be interested in. You can also refer to this page that has a BIG list of Worldwide work at home jobs and other ways to make money online on this site. DMT is seeking experienced data entry clerks and verifiers to work from home part time. You will be required to transfer and verify information in an accurately and timely manner. Weekend work is included. Must have strong verbal and computer skills. Canadian residents. Pizza Nova is looking for order processing agents to take orders, respond to customer inquiries and other duties. Must be 18, have good communication and customer service skills and be customer oriented. Paid training. Weekly pay. Must live in Canada. Uhaul is hiring those who speak Canadian French and English to receive incoming calls from customers. You will answer general product/rental inquiries and schedule reservations for Uhaul trucks, trailers, towing devices, etc. Will need a computer with a USB headset and antivirus software. Paid training. SureCall Contact Centers is seeking those with great customer service skills to complete inbound and outbound calls. You must be able to speak French and English, have 1 year call center experience, have a phone and headset. Paid training with benefits. Pays $14 per hour to start. Vox Mobile is seeking two bilingual French Canadian and English speaking specialists to provide tech support to users, facilitate mobile carrier interactions and other related duties. Must be fluent in French Canadian and English, have 2 years customer service or call center experience and have experience with mobile devices. Full time. iSoft Stone is seeking evaluators to rate content returned by search engines. Must live in Brazil, be at least 18 and have a Windows based computer. No experience is needed. Company will provide full training. Part time. iSoft Stone is seeking those who reside in the UK to work from home rating content returned by the search engines. You must be familiar with your country’s current events, news, pop culture, media, etc. You will need a Windows based computer, sound card and speakers and can work 10-25 hours per week. They pay a highly competitive hourly rate. American Express is seeking candidates to promptly respond to customer inquiries, solve customer issues and other duties. Must have strong communication skills and be able to multitask. You will be required to complete a background check. Training provided. Will need to be a resident of the UK. Travelstart is seeking home agents who reside in South Africa to be responsible for all ticketing, amendments, reissues and bank payment processes for the after hours team. Must have 2 years knowledge of ticketing and invoice systems, can speak English and have access to ADSL. Appen is seeking people in Germany to evaluate the quality and relevancy of the Internet. You must be Internet savvy, have a computer or laptop, fast Internet and can work 20-25 hours per week. Get free and deeply discounted products writing short reviews on Amazon. Sign up for free to snag some deals today. Get real cash when you spin the wheel with this mobile app. Available on Google Play and iTunes. Use code 155066 for 25 bonus spins. Open worldwide to those who want to make extra money taking short surveys, watching videos, playing games and more. Pays very fast via PayPal. 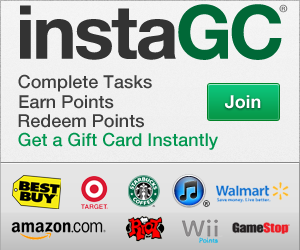 You can also request a check that is sent out every Friday or receive a gift card. Must be 13 to get started. Can cash out when you have just $1 in your account. Join a global community of people building the workplaces of the future! You can help uncover strategies to create success for all at work. Get $0.25 to $0.50 for every answer you give from your computer or mobile device. Pays fast via PayPal. Get paid to watch short ads and commercials on your computer or smartphone. Must have a Facebook account. Will receive either free cell phone service or gift cards that you can spend just like cash.